Nigel Cameron grew up in Belfast, Northern Ireland, where he was a Civil Servant for around 25 years. In recent years he also worked part-time as music co-ordinator for his church in Belfast before moving to Sussex, England, in 2014, where he now lives with his wife, Julie. From conferences in Ireland including 'the Mandate', 'Inside Out', 'The Armoury' and 'Focusfest’ (where Nigel was musical director) to large celebrations in Tanzania, Africa, international conferences at Willow Creek Church, Chicago and Elmbrook Church, Milwaukee, ECM conferences in Spain, worship gatherings in Kalisz, Poland .... and more recently, with his wife Julie, to events in England, Jersey, Brussels, Poland, Macedonia and Florida USA. With the folk group Slemish he has also travelled extensively, taking Irish music and ministry to Spain, France, Switzerland, Portugal, Germany and throughout Ireland. As well as a worship leader, musician and songwriter, Nigel also uses his photography to express the ‘sense of wonder’ he experiences through nature. His DVD 'Creation Calm' released in 2007, captures the essence of his passion for Creator focussed worship, blending photography and music in a creative way. 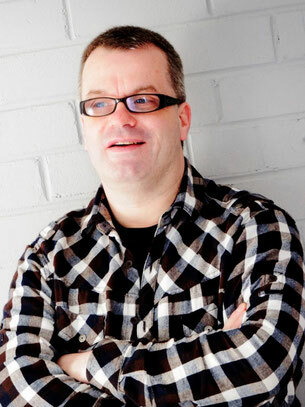 In April 2013 Nigel released his first solo worship CD 'Sunrise to Sunset' showcasing 12 of his best songs in a variety of musical styles, and including a guest vocal from Joanne Hogg (Iona) on the song 'Creator God', a song which was also featured on Kingsway's 'Heart of Worship (Vol 10)' album. A stunning debut album from the heart of a gifted worship leader who finds inspiration, not only from Scripture and the simplicity of Psalms, but also from the poetry of hymn-writers and the beauty of his native Irish countryside. Drawing from gospel, folk, soul and jazz, this album takes you on an uplifting journey of soothing sounds and thoughtful lyrics, all packaged beautifully in digipack with 16 page full-colour booklet. His first project in England was the recording of an all-age worship album. 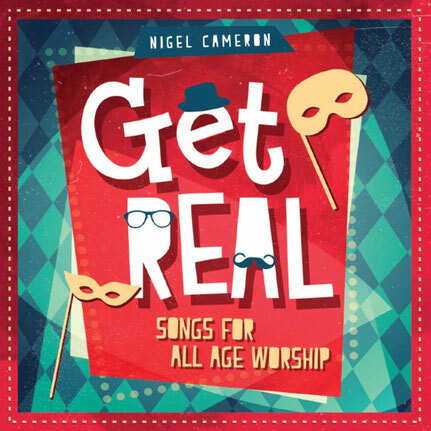 'Get Real' is the culmination of many years of writing songs for Holiday Bible Clubs and family services. It features 11 songs from that portfolio that will have a wide appeal and is guaranteed to raise a smile! "Packed full of Bible truth, expressed in simple, jargon-free language that makes it accessible to people of all ages. 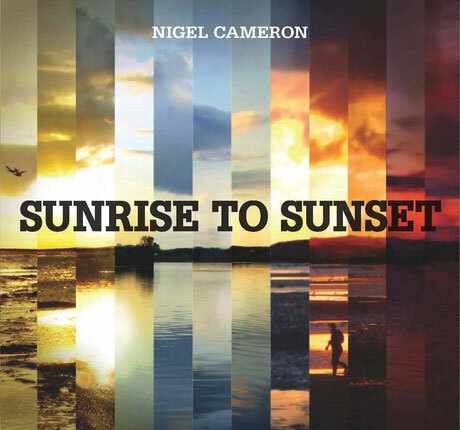 "Between 2010 and 2012, Northern Ireland-based singer/songwriter and whistle player Nigel Cameron took a career break from the civil service to record a sumptuous album of songs based around various psalms and scriptures that seek to praise the creator God. Sitting in front of a lush acou stic backdrop, Cameron's pleasingly unfussy but emotive voice delivers each song with warmth and skill with upbeat tracks like the opener "Lord, I Believe" and "Start Spreading The News" - the latter a slant on the song of Moses found in Exodus - showing what the man has to offer in both the singing and writing stakes. Keeping things varied and interesting, Cameron's brief foray into light jazz territory in "Take Joy My King" is arguably this album's highlight whilst the worshipful "It's So Good" is a competent piece of blue eyed soul. Elsewhere, Cameron lets his Celtic roots show in the ethereal title track and an utterly gorgeous adaptation of the John Wesley hymn "O Lord, My Love" which, like the stunning instrumental "Winter Peace", showcases the man's talents as an Irish whistle player with all the lilting and heartstring-tugging his instrument of choice brings. A guest appearance from Iona's Joanne Hogg on the stripped-back "Creator God" says it all in terms of the quality found on this expertly executed offering." "I remember travelling with my children, feeling a little frustrated at listening to children's songs on repeat (which they clearly enjoyed) while longing for something more adult! This collection aims to address this parental problem, and up to the teenage years mostly achieves this fine balance. The opener "Like A Telescope" is a great example, a contemporary mix of drum-driven music, thoughtful lyrics and an infectious chorus which sticks with you (and a children's choir for good measure!). "Seaside Rock" [track available on the digital download version only] is a clever mix of rock'n'roll, jazz and lyrics comparing The Rock with crumbling seaside rock! "Song For David" feels like it's aimed more at a younger age group with lyrics such as "David was a shepherd boy/He wasn't very tall". Overall this is a superb collection which addresses the problem faced by all generations!" Nigel: I'd had many things in my journey which drew me to leading worship. I never thought I could be a person who leads a congregation in worship, because I don't play a guitar. Worship leaders strum a guitar, but I don't do that. It was my former pastor at Strandtown Baptist in east Belfast who said, 'Nige, I believe you can lead our congregation in worship. I believe you have the character and the sensitivity. All you need is to align yourself with somebody who plays the guitar, or a piano, and work with them.' In comes my best mate, Phil Hart, who is this finger-style guitar player inspired by Phil Keaggy. He was the drummer in my first band, Soul Response. We started to get creative with worship sets. We went through a phase of having an early service, which the church leaders were trying to make the same as the later service. But it never was the same. I think people appreciate something a bit more reflective at nine in the morning. We would arrange some acoustic guitar and whistles. It was a great training ground for me. We started doing some men's conferences - various worship teams who liked a Celtic sound - and I ended up being invited to co-ordinate the worship team for FocusFest with Geraldine Latty, which allowed me to arrange music. But in the back of it all I had a longing to be a songwriter. I didn't think I could write songs: I'm not a lyricist. A revelation came to me one day after Geraldine Latty had been to Belfast and we'd had this humungous rehearsal. I was divorced at that time - I had a bad experience way back. Everybody left, back to their families, and this single guy who directed all the music was just giving thanks for what had happened. I turned to Psalm 92 and I started to play the piano. It was a gospely song, "It's So Good To Praise The Lord". It sounds like a basic music thing, but when I started to play the piano I realised that if I play something different on my left hand to the right hand it can sound quite gospely. I had written songs before that, but I'd say that was my first authentic expression of worship coming from my heart. I realised that I don't need to be a good lyricist: it's all in there, in the Bible, in Scripture. That's why I've developed a love for the Psalms. I took all of his advice. The song of Moses in Exodus 15 gave me the most congregational song I wrote, which shares a title with Ol' Blue Eyes, "Start Spreading The News". The Message translation of the song of Moses is full of these amazing little phrases. Another friend got involved, a guy called Nathan Jess who's done really well for himself now, and I celebrate his involvement in this. I went to his house one day and asked him, 'Could you help me go through all of these little songs that I have and pick out what you think would make good songs for this album?' He did that and he was really encouraging. He played acoustic guitar on the album, and I ended up contacting his mate, Andy Dougherty, who had started this studio. They didn't have a job to give me, so I was completely at the mercy of God's provision. I tried to get some part-time work in Scripture Union. For another 18 months the civil service didn't give me a job, and in those 18 months a number of things happened. I went on mission trips, I've seen more of the world than I had done before - people sponsored me to go to these places. Then a miracle happened. A politician in Belfast had been pursuing this tribunal case. Peter Robinson had proved that civil servants of the lowest grades were historically underpaid compared to their equivalents in England. We all got compensation. I got a five-figure sum, and it was like, 'Right! I'm doing this album now, boys!' I had been looking for the right studio. A mate of mine had used this studio called Sonic Visuals, and boy, did I have the time of my life. I got the deal of the century. This guy nearly broke his business model when he gave me a price per song. That was not a good idea. He didn't realise what I had in mind. Andy had a whiteboard. He had to make a spreadsheet with all the different things that we needed. He'd want to bring the mandolins, saxophone, different things. It was quite eclectic in some ways. As he started to rub out the things that we'd done, on the very last day we were in the studio - just before mixing - I got a phone call from the civil service to say, 'We've got a job for you. Do you want to start next week?' I needed to honour Andy for work beyond the call of duty that he'd done, so I went back to the civil service in another job, which was a bit boring. . .
Tony: Nigel, tell me something about 'Get Real'? Nigel: 'Get Real' was something that I had tried to start in Belfast. My brother is a gifted children's communicator. He's director of primary schools ministry for Scripture Union in Northern Ireland. Over many years my brother and I would work together on holiday Bible clubs. We restructured the whole thing in order to give people specific roles and not have them involved in everything. I used to do the kids' group, then get up and do a bit of drama, then play the drums. You're talking three or four hundred kids. My brother said to me one year, 'Nigel, would you like just to focus on the music?' We started to write theme songs together when we couldn't find songs that said what we wanted them to say. I started developing this band that would do this every year. We started to do road shows for Scripture Union every year. We started to do kids' praise parties. My passion was to write songs that the adults would get a kick out of as well. Take a bit of rock and roll, or a reference from '80s or '90s, but a catchy hook that the kids would love. What's amazing about having come on a journey as a songwriter is to realise there's the child in me that loves the word puns, loves to get into Scripture and to tell a story through the song - and to see all these little faces looking back. These kids would know the lyrics better than I did. After developing an orchestra, I was able to take the brass section out of the orchestra and work with the trumpet player and write these trumpet parts - and actually use real instruments. This is the problem sometimes with children's ministry nowadays: it's all backing tracks and videos. Kids need to be inspired by real instruments. I tried to record these songs with my mate in Belfast. Bless him, we tried, and the thing never got anywhere. I tried to share the vision with the church: it takes a lot of money to record an album. Tried and tried, and constantly these plans were thwarted. In my heart I longed to do this album. When [Julie's 2013] album'Warrior Bride' was literally delivered to the door, we felt in so many ways God was bringing us together. I hadn't fully realised who I was in God. It was during that time, during those long conversations Julie and I were having, Julie was speaking into my life about my busy-ness and recommended a book called The Grace Outpouring, which is one of the books that really helped me in my ministry. I'd never in my life heard the audible voice of God, and one night I woke up and found myself saying three times - and I felt it was God's specific word to me - 'My child, I love you and I accept you for who you are.' I needed to hear those words to go on this journey of adventure that I was going on. I was going to leave my comfort zone of Belfast behind. Everything: the orchestra, the worship teams, and all these people. God was calling me to leave Ireland and to go to England. The first step of that adventure was to Sussex. How amazing to find, when I was starting to connect with Julie, and we got engaged, she introduced me to her mate [recording engineer and producer] Chris Smith at the studio she recorded 'Warrior Bride' and 'Father's House' in, Raindance Studios in Stourbridge. Amazingly, after sharing the vision for the kids' album with the Belfast church leaders and one who'd got it then all of a sudden became ill and it didn't happen, eventually it was one of the musicians who was in my team, a great bass player, his father met with me in town for lunch and caught the vision for the project. He said, 'I would love to sow into this album.' Fair play to the guy, he gave us this opportunity. It was almost a test for him, because for him it was about Belfast. For me it was about the songs, and about getting these songs out to a wider audience. So when I met Chris and we went to the studio with the nucleus of this idea, and these songs, we just hit it off. He caught it, and, in fact, he now does a lot of children's ministry himself. All the songs went through Julie's microscope of, 'What are you trying to say to these kids?' 'Do you really want to say that?' 'Maybe we want to think about that.' Actually, that project was delayed until the right time because the lyrics needed to go through another process. During that time of our engagement, and then getting married, that was the first project we recorded together. Tony: Is Julie singing on it? Julie: I sing on one of the songs, "I Want To Be Like King David". But we felt like we needed younger voices. Because it was an all-age album, we felt like we needed voices that children could relate to. We had a children's choir, but we also enlisted the help of my daughter and son-in-law, who both write their own songs and have absolutely beautiful singing voices - and very youthful voices. Nigel: How gracious of God to give us this recording project to share my heart with Julie's daughter and son-in-law, and have them involved in it, their first experience in a recording studio. Amazing - wind the clock on - they have now released an EP, and we helped them finish it in the same studio. I just love the way God uses everything.